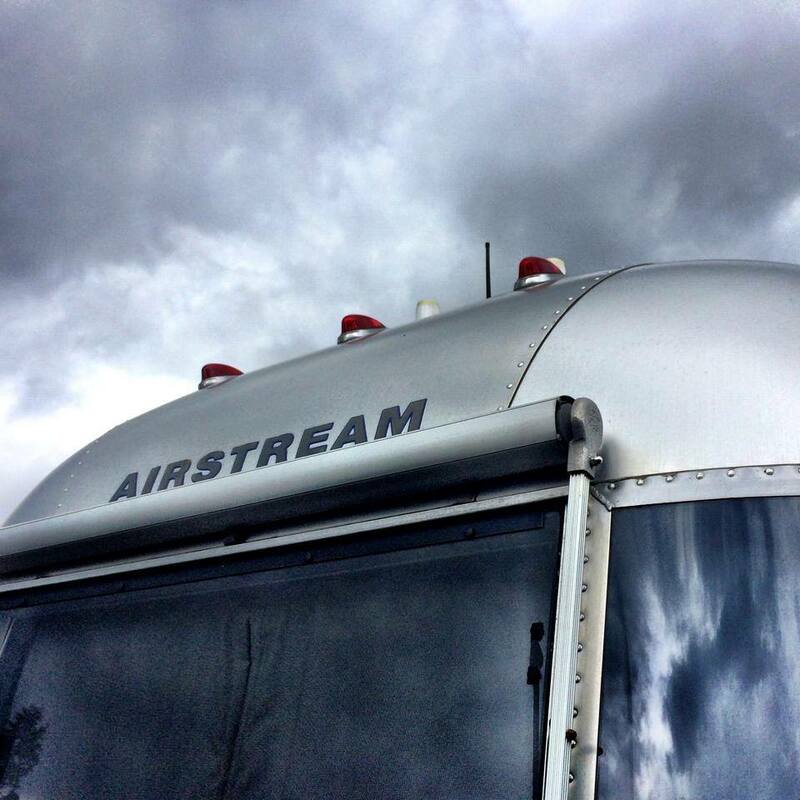 We went and got the Airstream this afternoon and headed out! We're going to meet up with Tiffani and Deke tomorrow (in the Painted Hills/John Day Fossil Beds area) as they make their way to the other side of the country. That flight to Orcas was great, but we're super excited to get to spend a bit more time with them! We'll spend tonight at Detroit Lake and then head out in the morning to see if we can snag a couple of cool spots somewhere near the pretty stuff. It's rainy here, but it's lovely and quiet. 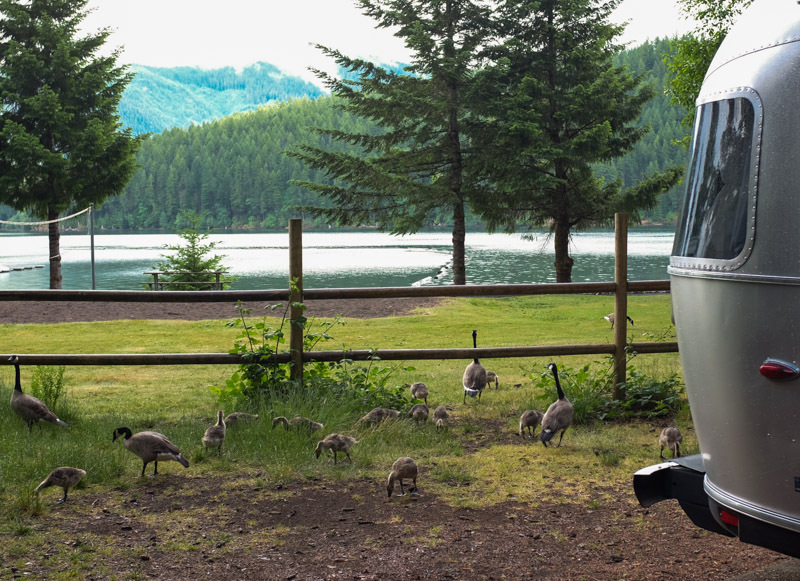 An hour ago there were 4 geese, 16 goslings, and one duck wandering around our campsite scroungin' for dinner. Cute! !